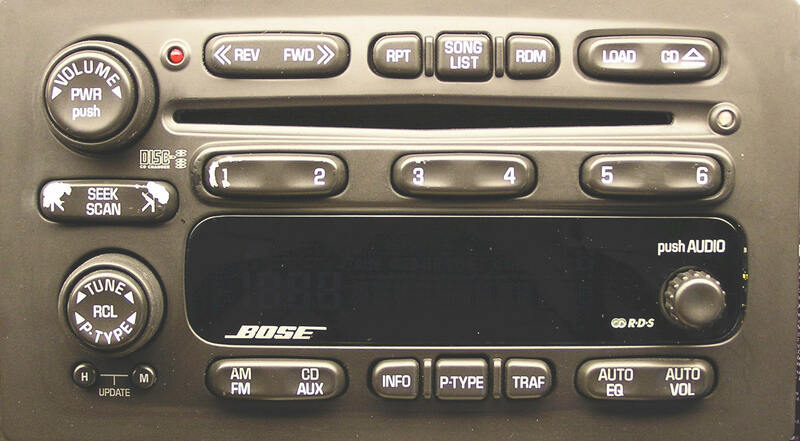 Isuzu Car Audio and Bose Amp/Speaker and Car Stereo Repair. All car stereo repairs have a one year warranty. Single CD player, clicks when attempting to eject, will not accept or play CD, $125. 6 CD Changer, jammed, will not play, accept or eject CD's, repair rate $295. CD Changer jammed? Before thinking of repair, try disconnecting one of the battery terminals for several minutes then reconnect. This may act as a "Reset" and bring the changer back to working condition or may no longer recognize changer and repair is needed. Clarion / PI-2517M / 8-97300-878-1 AM/FM Single CD player, will not eject CD, will not accept CD, will not play CD, $125. CD does not operate properly, will not eject, grinds, displays Err. This is a very problematic CD changer. We no longer repair this CD changer. 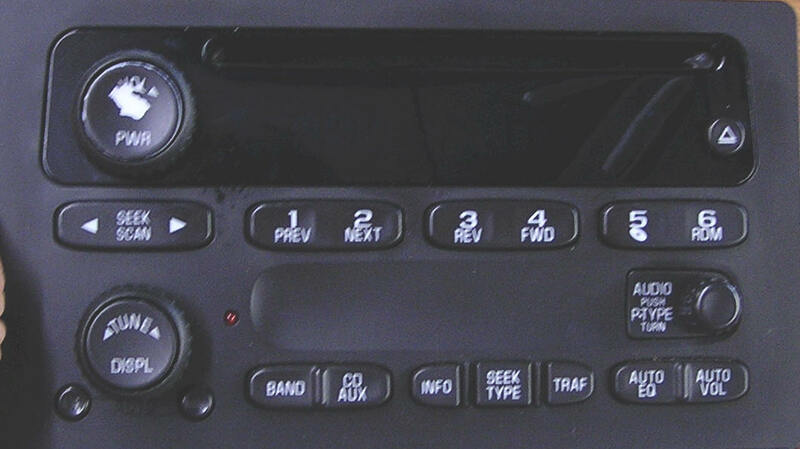 Car stereo will not turn off/on, Cassette player not working properly, intermittent audio, intermittent power. Cassette player not working properly, intermittent audio, intermittent power. 8-97254-539-2 / PI-2384m CD does not operate properly, error or skips when CD plays, will not load or eject CD's, 6 disc player. We no longer repair this Clarion CD Changer. 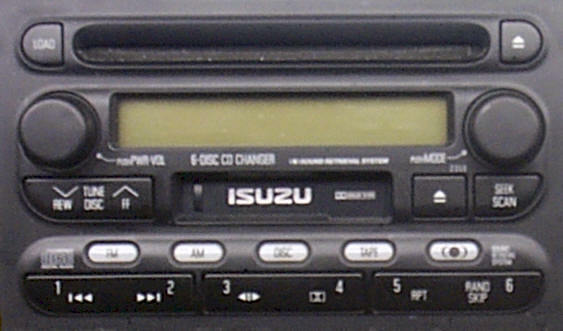 We no longer repair Isuzu CD changers.